Contemporary African Art, Issue #008 - Welcome to our first newsletter of 2018! Firstly, CAA would like to thank all its subscribers for the support shown in 2017 and wish you all a rewarding and prosperous new year. I trust you have enjoyed receiving your newsletter and I look forward to continuing to endeavor to provide you with new and stimulating information on this very exciting world of contemporary African Art. Njideka Akunyili Crosby is a Nigerian born artist who, very deservedly, recently won a 2017 MacArthur “Genius” Fellowship. This cash prize is awarded to “talented individuals who have shown extraordinary originality and dedication in their creative pursuits and a marked capacity for self-direction”. Crosby has lived in Los Angeles since 1999 giving her a transcultural identity that hugely informs her work; playing out domestic scenarios with details merged from both her homeland of Nigeria and her adopted, current country of abode, the USA. With all her many experiences to call on, she creates multi-faceted compositions combining drawing, painting and collage on paper. 2018 is going to be a very busy year for her with both solo and group exhibitions. ARE YOU PLANNING TO TRAVEL IN 2018? Then make sure you organize a trip that takes in a firsthand experience of contemporary African Art! 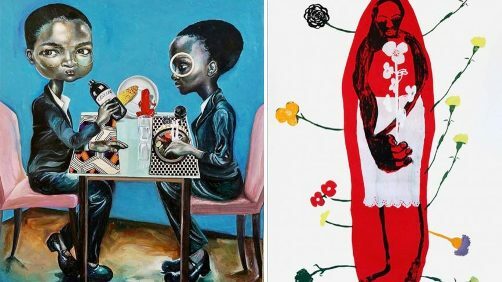 There are many African cities hosting major art events this year… Bamako, Cape Town, Lagos, Dakar, Johannesburg… while major, world capital cities like Paris, London and New York also have their grand shows featuring galleries and artists from Africa. Smaller cities like Basel, Switzerland and Miami, USA enjoy facilitating equally dynamic events. To help you with those plans, here is a summation of the year’s primary events taking place either on, or off, the continent. 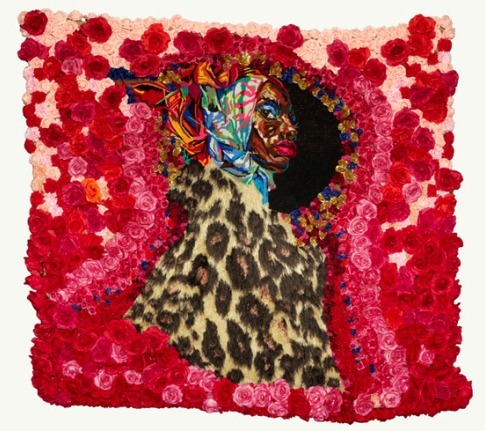 Outstanding art fair exhibits entranced audiences, individual art awards catapulted careers of contemporary African artists and auctions continued to achieve uncapped sales. New art fairs were announced in new cities on and off the continent while existing fairs upped their game considerably and reported increased sales and fervor of interest. Moving forward I think there is one thing everyone agrees on... The days of curating massive group exhibitions featuring artists from all over Africa are gone for the time being. Individuals are being highlighted and not just the heavyweights, emerging artists are being given an airing at major shows. While it does mean a degree of risk for Gallery owners the world seems prepared to embrace new talent with unique ideas and forms of expression. 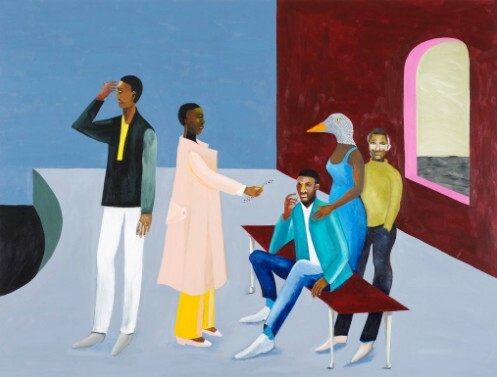 The Turner prize for 2017 was awarded to Lubaina Himid, an artist who was born in Zanzibar in 1954 but who has spent almost all of her life in the UK in London and Lincolnshire. Adding her here as an ‘African artist’ is somewhat presumptuous but her work reflects issues that are affected by her heritage and by her mixed race background and I find everything about her fascinating. Have a look for yourselves, I know you will find her inspirational as an artist and as an individual. 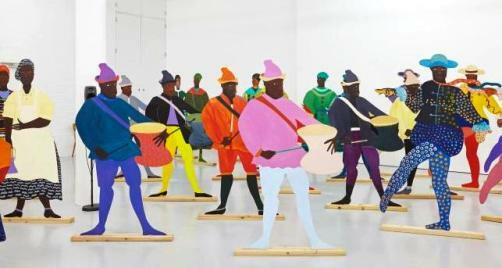 The jurors of the Turner Prize praised Himid for her “uncompromising tackling of issues including colonial history and how racism persists today”. She uses many mediums to theatrically and satirically convey her messages and her work is exuberant both in nature and scale. What a year 2017 was for this young man and 2018 promises to be even more exciting. 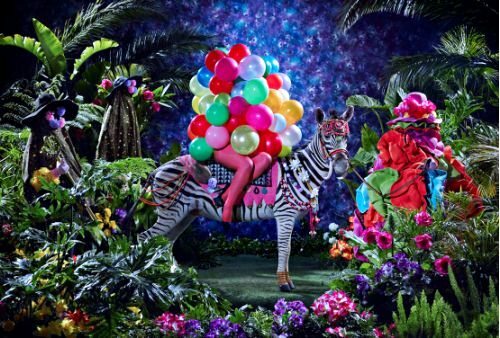 One of the boldest and most invigorating young artists to come out of South Africa for a long time, Athi-Patra Ruga was recently awarded the SEYDOU KEÏTA PRIZE GRAND PRIZE OF LES RENCONTRES DE BAMAKO by the Malian Ministry of Culture. The opening exhibition of the Zeitz MOCAA in Cape Town in September included both his sculptural and his photographic work. 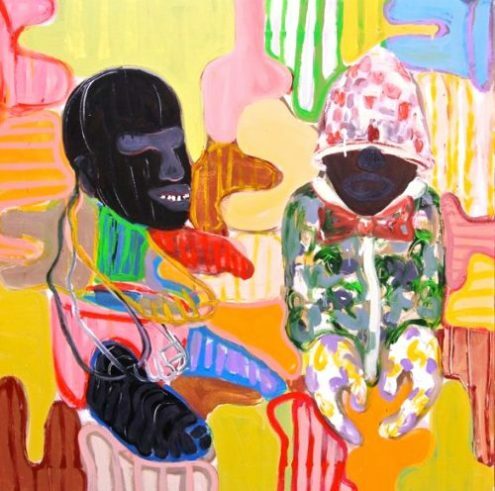 His other significant genre is 2D tapestry and these arresting and visually luscious pieces are unique, bearing testament to his fashion design background. 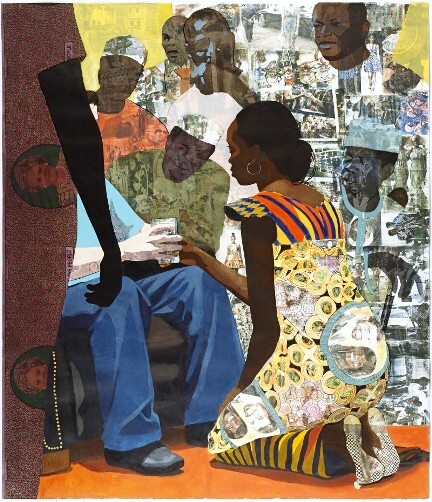 I believe he (along with William Kentridge) has been largely instrumental in influencing the current affinity for contemporary tapestry work in Africa. Artist/photographer Tony Gum, who we featured in our Newsletter edition #006, finished her successful year by being awarded the PULSE prize by PULSE Miami Beach. I do hope you have found this eighth edition of CAA newsletter informative, enjoyable and uplifting.